It is the most frequently asked question on this forum. First - remember that sessions are held on different platforms. Check the calendar to see what platform the session is being held on. 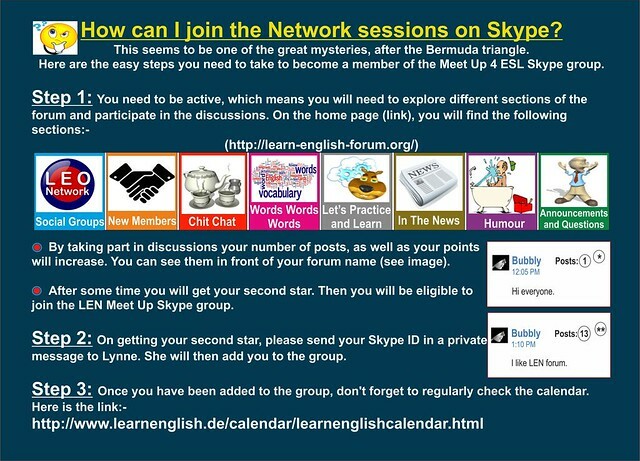 We have tried to make it simple and clear for new members who want to join the LEN Skype group to take part in different, student led sessions. Please follow the steps mentioned in the image given below and be patient till you become a member of the LEN Skype group. @Lynne Thank you very much for your guidance and support to get it finalized. @Glorian Yes that is why I shared it. @yijunliu You are welcome. Hopefully, you will read the text in the image and follow the instructions. @Tricia_KoLay Hi and welcome to the forum. So, now you all know how to begin @Tricia_KoLay, @yijunliu! I am thinking to make a welcoming banner as well. @hamidelj Hi and welcome here. On the home page @Bubbly? Is there will be bright and screaming picture? Im Lan Anh, Im from Viet Nam. Im here to learn English with you! @lananh025 Hi and welcome to the forum. @Bubbly hi, Could you tell me how to learn on Skype with Lynne? @lananh025 please see the image above, read the text, and follow the instructions. @lananh025 you will get it soon. Stay active and participate in discussions. @lananh025 Explore the forum a little bit and participate in discussions. Don't worry I will see you soon in LEN Skype Meetup group. Oh I'm so strange because I'm a new here but I'm older than Skype. I meant "bright and screaming picture" - picture that attracts attention @Bubbly! @Glorian how can a screaming picture be attractive? 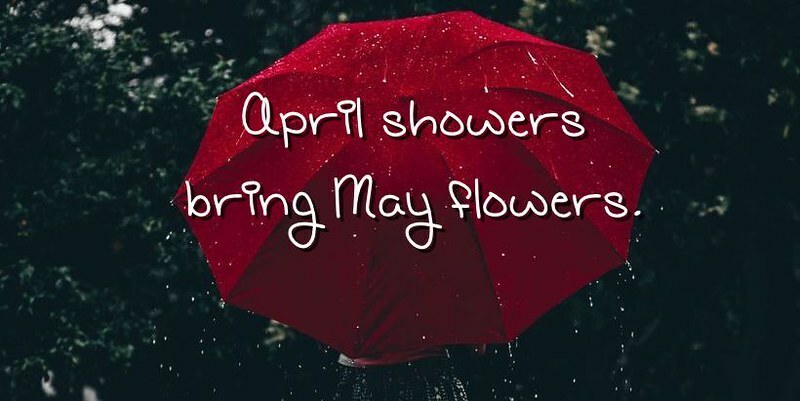 You can say bright and catchy picture, bright and charming picture, bright and attractive picture, bright and sunny picture, etc. The "screaming picture" - is words that you wrote above, the picture that caught your eyes on it, the picture is full of bright colors, you know! C'mon @Bubbly, don't you understood me? The "screaming picture" - words you wrote above the picture that caught your eye. The picture is full of bright colors, you know! Come on @Bubbly, can't you understand me? I can't hear you! Could you scream louder @Bubbly? And that does not reach to Russia! Don't worry about mistakes Glorian. If I can correct it, I've understood you, and that is the key to communication. The rest is just me being a fusspot.